Quadrilateral Cowboy is a single-player adventure in a cyberpunk world. Tread lightly through security systems with your hacking deck and grey-market equipment. With top-of-the-line hardware like this, it means just one thing: you answer only to the highest bidder. 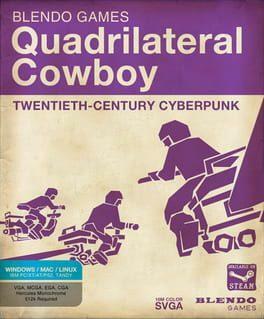 Quadrilateral Cowboy is available from 14.90 to 19.99 from 1 shops.